Attention ‘Nightmare on Elm Street’ Fans: Pre-Order ‘Never Sleep Again: The Elm Street Legacy’ Right Now! 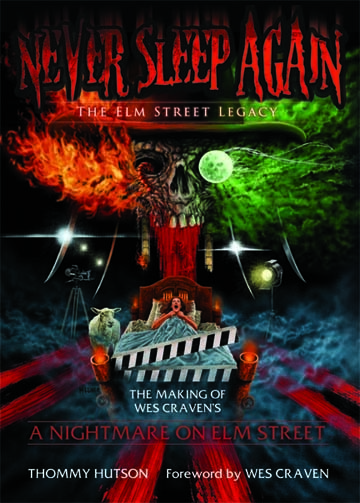 Fans of the Nightmare on Elm Street film franchise are most certainly going to want to get their mitts on this new book, Never Sleep Again: The Elm Street Legacy. The book makes for a definitive chronicle of the making of Wes Craven’s 1984 classic horror film. There are a limited number of these bad boys being printed, so you’ll want to jump on the chance to get your shrink-wrapped (the books are not signed and numbered) copy now! Orders are expected to start shipping in mid-January. 2 Comments on Attention ‘Nightmare on Elm Street’ Fans: Pre-Order ‘Never Sleep Again: The Elm Street Legacy’ Right Now! That looks like an interesting read. I don’t think any horror figure has terrified a generation quite as much as Freddy. Old Fred definitely had a MAJOR impact on a LOT of people. One of the most frightening creations in fictional history, in my opinion.